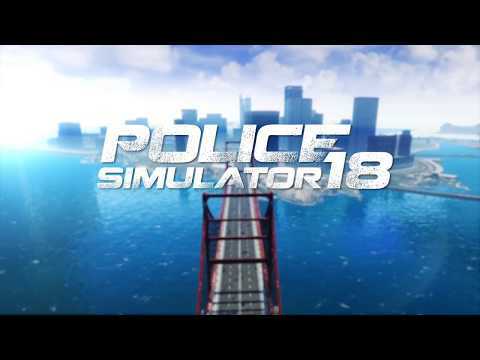 Experience the exciting day-to-day life of an US police officer in Police Simulator 18. Discover a large, lively and freely-accessible US city powered by Unreal (r) Engine 4 and arrest criminals, investigate crime scenes, or hunt down bank robbers. Record traffic accidents, search for stolen vehicles and engage in action-packed highway car chases. Get behind the wheel of three realistically recreated police vehicles with functional cockpits and use the in-car-computer to identify wanted suspects and stolen vehicles. Go on patrol either alone or together with a friend in the 2-player cooperative multiplayer mode and rush to resolve emergencies. Detect suspicious behaviours and prevent criminal operations. Your exciting job will lead you through three individual districts - financial, industrial and residential. Stop and check citizens or cars to enforce the law. Pay attention to fugitive suspects and chase them on foot or by car with lights flashing and sirens blaring. Use authentic law enforcement equipment like tasers, radios and handcuffs to protect your city! The upcoming Police Simulator 18 PC release date is 2019 in the US and the UK. Notify me when Police Simulator 18 is available.